Small in stature, yet big in style, these John Hardy hoop earrings are part of the Bamboo collection. 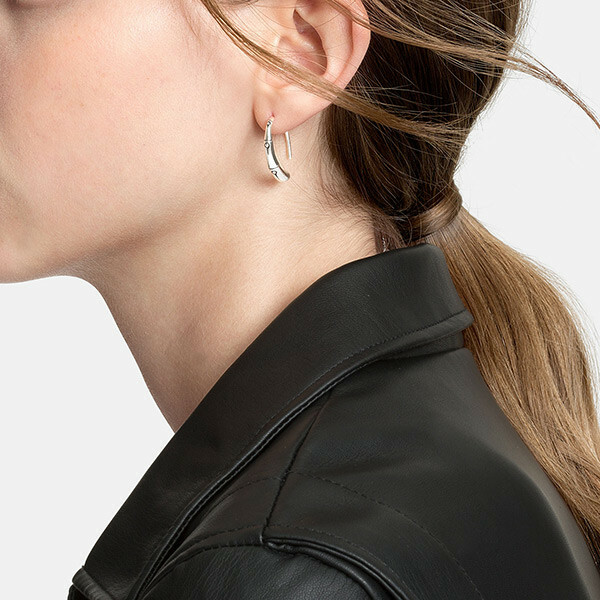 Each hoop is crafted in sterling silver to resemble bamboo, and a thin wire threads through the earlobe leaving an open bottom. 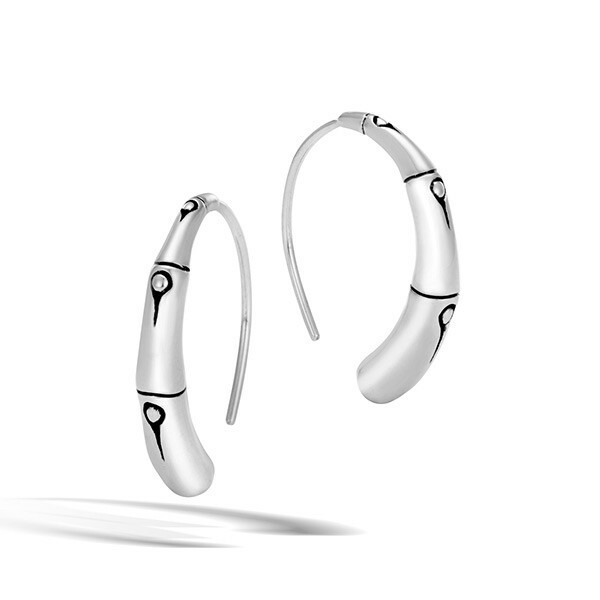 This pair of John Hardy earrings is perfect for every day and could go into the night. 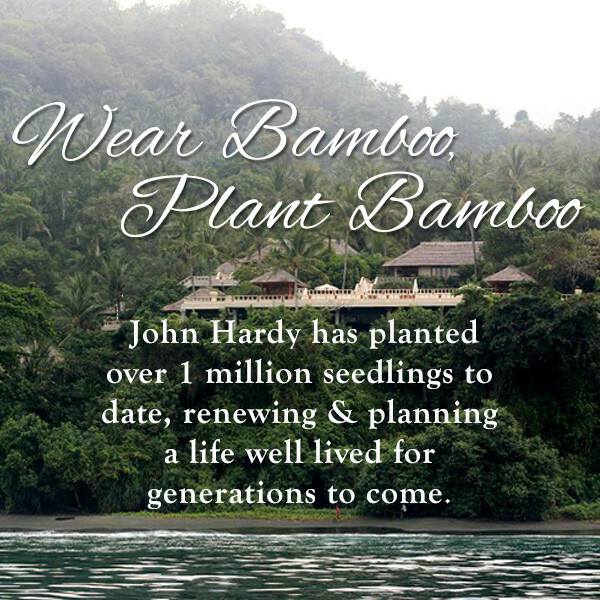 One bamboo seedling is planted with the purchase of this John Hardy piece.